From this year on, you can stay in a new Mobile Home type: 5 + 1 beds Ponente! 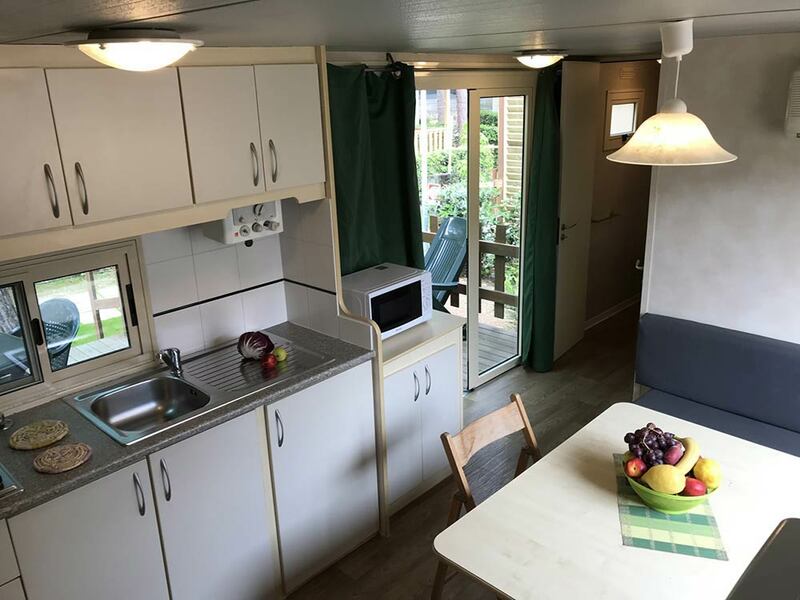 A spacious 24 m2 Mobile Home with a 18 m2 veranda, ideal for groups and large families camping in Bibbona. The housing unit is composed of a living area with sitting room, a large kitchen furnished with microwave oven and a sofa bed. 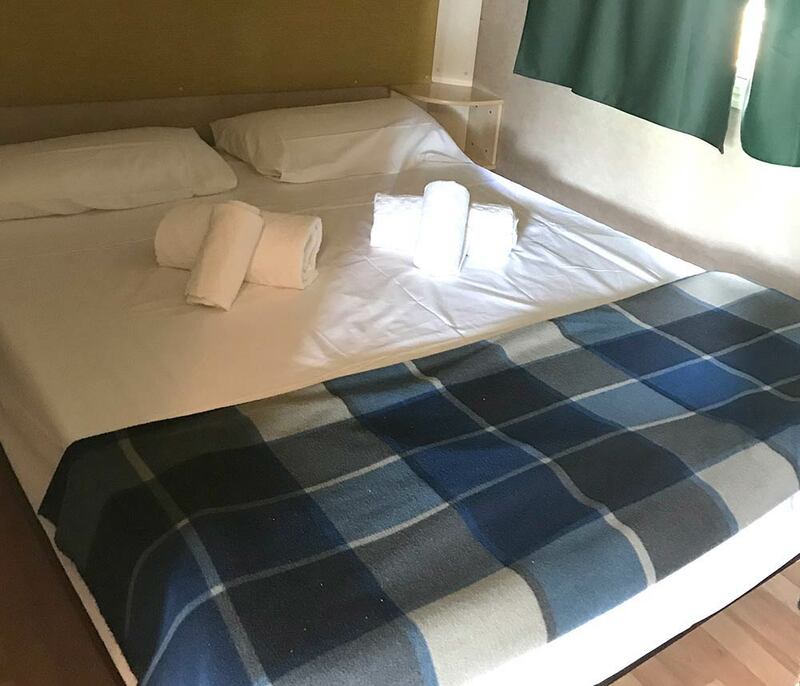 The sleeping area features a master bedroom with hairdryer and a triple room. A main bathroom with shower and sink. Guests will also find a second bathroom appointed with wc and sink: two restrooms for your maximum comfort. All 5 + 1 beds Ponente Mobile Homes come with air conditioning. 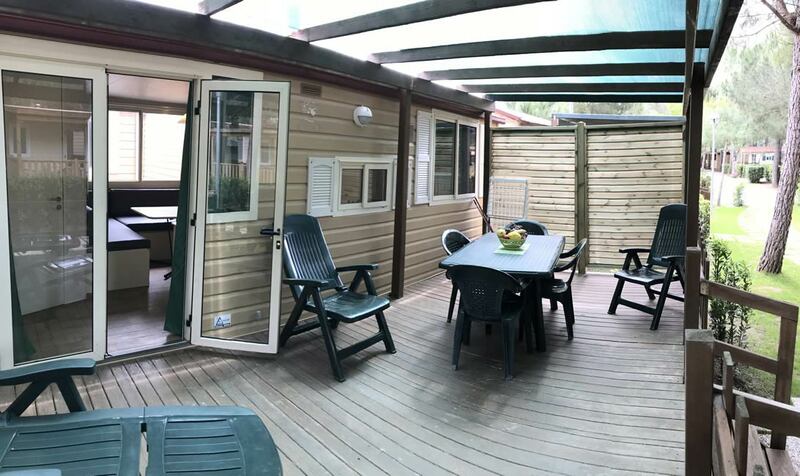 Outside is a 18 m2large wooden veranda with table and chairs and sunbeds. IVA 10%, 1 posto auto, elettricità, acqua e piscina. La direzione si riserva eventuali aumenti derivanti da variazioni IVA o tasse.